Living in Southern California, it's dry (which, I love) but the dryness can cause dry skin and hair (which I don't love!) No matter where we live, winter can take it's toll on our hair and skin, and so a little extra TLC is helpful for all of us. Since I have long hair and don't like to cut or trim it too often, and I use a lot of heating and styling products, as well as add blonde highlights to my hair, my hair can be extra-dry at times and I struggle with split ends. 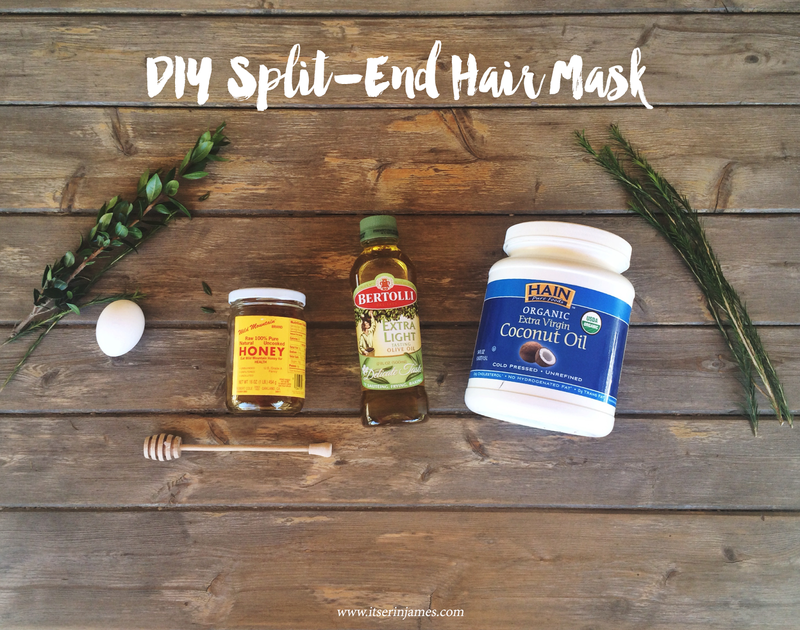 I've used organic coconut oil on my hair for a few years now and swear by it (I'll do a post about that soon) and yet, I wanted to more of a "mask" to help repair my split ends. I found this recipe on Pinterest and so I have to credit this blog for giving me the idea! I was a little skeptical about it at first (because of the raw egg) but tried it out and literally, it left my hair SUPER shiny, silky, and feeling luscious. The process wasn't all that glamorous, but it's honestly so worth it -- so I had to share it with you! + Hair Insurance by Aussie. They stopped selling for a while it at the Wal Mart I go to and I was so sad -- it's cheap + works well to keep your hair detangled and soft. + I love this conditioner meant for horse's hair -- used it on and off for years! + This one is a root stimulator as well as a conditioner... and it's made of olive oil! I've tried it several times and loved it. + Moroccan Oil is one of my favorite things for my hair. I haven't used this product, but have read MANY rave reviews on it on friend's blogs! + Ok, my hair is so long and wavy that it tends to tangle up. This little brush is my lifesaver. I have one in pink and got it at Sally Beauty Supply. + And then, of course, this fabulous brush is on my bucket list. + This Anthropologie wavy beach hair mist looks just dreamy -- need it. Especially 'cause it's TEN BUCKS! I have seen this before and always wondered if it "really" works!! Thanks so much for sharing! As a lady dealing with multiple health issues I try to avoid toxins as much as possible and am always looking for ways to help my hair! I am definitely going to try this! Yes avoiding toxins is so important!! Oooo, I'll have to try it! :) Thanks friend :) Yes got your email, replying! XOXO! That's so cute. 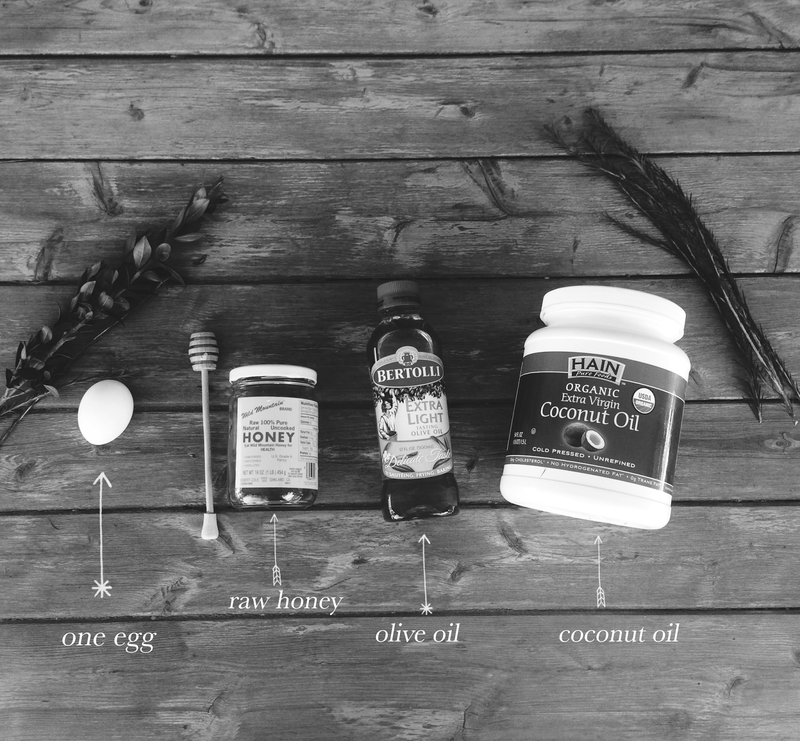 I get asked quite often about hair mask for hair breakage and split ends from my own blog's readers (naturalhealth-naturalbeauty.com). I will give them your suggestion. Hi,Loved this post.I was waiting eagerly.planning for almond brown highlights.Lets see how it looks.Thank u. click this site get more info..